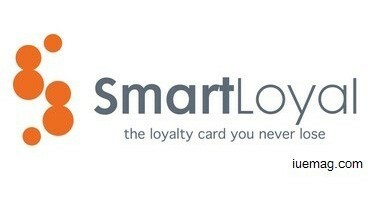 SmartLoyal - Loyalty card that you will never loose. Is your purse weighing more because of the umpteen loyalty cards that you carry of different brands? Do you forget redeeming your loyalty points and miss the rewards that you were entitled for? If so, here is an interesting solution that can take away the burden off your wallet and surprise you exponentially! SmartLoyal is an advanced loyalty marketing solution, which helps merchants build relationship with their customers by rewarding them at different stages of their visits. It replaces traditional loyalty program of collecting points with the concept of collecting stamps and getting exponentially rewarded based on the number of visits. One of the biggest problems merchants face is to retain customers; hence, they invest heavily in generating new customers by discounting their products and heavily promoting the same which involves both resource and cost. Most of these customers wouldn’t return after discounting period is completed whereas regular and loyal customers keep wondering why they have to pay the full price every time. Research shows that generating return customers can increase the profits and traffic four fold. Renowned merchant chains invest heavily in loyalty solution because they believe in generating loyal customers and they have seen it through their experience. However, the small and medium merchants cannot afford such high technology costs and, therefore, are losing on the opportunity to retain customers. SmartLoyal helps retailers to run loyalty marketing system in the simplest and the most cost effective way, fully rewarding their loyal customers and retaining them. SmartLoyal provides retailers with a tool to capture customer intelligence that can help them increase loyalty. Members without smartphones can still take advantage of the system by just text messaging the code provided by the merchant to a number. SmartLoyal’s intelligent system will take care of the rest. On customers’ every visit merchant provides a digital stamp which eventually turns into a reward. Sometimes, a stamp can turn into a surprise reward for the customer which will build an emotional attachment with the retailer. To further improve the customer and merchant relationship, we have built instant promotions in to the app which the merchant can take advantage of by sending something instant to their customers like “Looks like the summer is peaking this afternoon, if you are around or would like a change, just pop in for a cold coffee or a smoothie. Believe me, I will not disappoint your journey here because you will avail a friendly discount of 45%. Yes it is today’s temperature :)”. We also provide an amazing dashboard for merchants where they can manage the above discussed features and also have access to analytics. They use the analytics to see how their loyalty system along with surprise rewards and instant promotions is working using which merchants can strategize their customer retention. Merchants with the above tools can now market their loyalty system and retain their customers more effectively like never before. SmartLoyal is a UK based start-up. Kevin Chan, the founder and CEO, who owns a renowned restaurant called Steak and Cherry in Glasgow came across this idea when he wanted to generate loyal customers; the paper and plastic loyalty cards never worked for him. He also carries a big bunch of loyalty cards in his pocket and juggles around in store to get points which obviously is very odd making others wait in the queue. Hence, he calls himself a loyalty junkie. With a vision and support from an efficient team we have expanded to India and Germany. Deep Doradla, Technology director and Co-Founder joined Kevin to help with technology and then he built the idea into reality. He has also been responsible for kick starting SmartLoyal for India and Germany. Apart from heading technology he also looks in to the overall operations of SmartLoyal. Sai Kiran, Marketing and Operations Director, India, has done his Master of Business and Management from University of Strathclyde, Glasgow, and has worked for a number of International banks before he joined SmartLoyal, after which he gained experience in SEO consulting and social media marketing. He was briefly involved with SmartLoyal during his stay in UK. He has since then built a great relationship with SmartLoyal and, now, has taken up the task of moving SmartLoyal in India. Sagar Sharma, Sales Director, India. He is an experienced, focused and result oriented sales junkie who has worked with Zomato and Viber before joining SmartLoyal. He is now spearheading sales in India. Peter Erdelyi-Alarcon, Sales and Operations Director, Germany. He is a Business graduate with vision and experience in sales and operations. Any facts, figures or references stated here are made by the author & don't reflect the endorsement of iU at all times unless otherwise drafted by official staff at iU. This article was first published here on 11th June 2015. Sai Kiran Singanamala is a contributing writer at Inspiration Unlimited eMagazine.